LandMark Design Company is a passionate Custom Lighting & Design Company. We specialize in both custom Landscape Lighting and Christmas Lighting. We are a family owned and operated business with 16 years of experience. We have had the opportunity to serve in some of the most prestigious communities in: Dallas/Fort Worth Metro, Houston Metro, and have recently opened an office to serve the Denver metro. 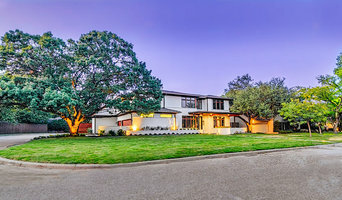 Our Philosophy - We partner with every client to develop a design plan that highlights the unique features of each property, while providing maximum value. Our goal is to finish each project having exceeded our customer’s expectations, not their budget. - We believe that key features define and form each home’s character. These distinct elements such as width, height, angles, pattern, and texture are strategically illuminated, showcasing the entire home in a three-dimensional view. LandMark's attention to detail and custom designs transforms a home into a bold architectural statement. - As a family-owned business, our personal approach has invited us into our client's backyards to create more intimate environments. We believe any backyard can be an extension of the interior living space and personal style. An ambiance of tranquility and beauty is created as we use subtle light to accentuate exterior landscapes. The end result is a resort-style oasis that will beckon you to stay outside just a little bit longer. 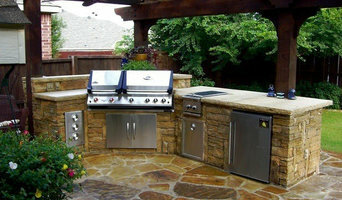 We focus in full scope landscape construction in the Dallas market. Contact us for your landscaping needs. Dallas Trusted Full Service Landscape Firm Best of Houzz 2013-2017! 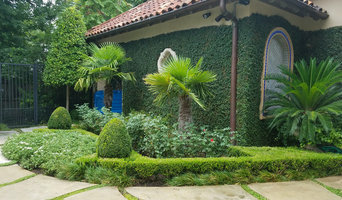 Dallas Preferred Landscape Lighting Firm - 3x Best of Houzz! *Authorized Hinkley Lighting Dealer* At Passion Lighting in Grapevine, we offer all types of discounts and opportunities to save on exceptional light fixtures. Check out our in-store savings, and if you’re a designer or builder, open an account and save even more! Stop by to see an amazing showroom with an extraordinary design staff. Our web pricing is only a guideline, and our in-store pricing is always better. With different specials and sales every month, the savings can only grow. Passion Lighting also offers special Flash Sales and other promotional events for those who sign up for our email notifications. Passion Lighting proudly serves clients throughout Texas, as well as Oklahoma, Louisiana, New Mexico, and Arkansas. We have our lighting installed throughout Texas, including the following communities: Southlake, Colleyville, Grapevine, Argyle, Denton, Hurst, Keller, Dallas, Allen, Westlake, Irving, Frisco, Plano, Fort Worth, and many more. Shop with us today! The Perfect Light began providing outdoor lighting services in 2001, and to date has completed more than 10,000 outdoor lighting projects. As we expanded throughout Texas, we became the largest outdoor lighting operation of its kind within any metro area of the United States. We now provide Outdoor Lighting, Event Lighting and Christmas Lighting & Decor to the Dallas, Fort Worth, Houston, Austin, San Antonio and Denver metro areas. When you choose The Perfect Light, expect professionalism, honesty, artistry, creativity, unique designs, value and quality workmanship. Our standards are high and we guarantee all of our work. Your outdoor lighting system will be designed using principles that stand the test of time and materials that are the most durable & energy-efficient possible. Wayne Fisher started Metroplex Landscape Lighting in 2010 in the Dallas area as an expression of his passion for the design layout and installation of dramatic landscape lighting. He recognizes that not everyone can afford to spend thousands of dollars on their landscape lighting project. That is why he gets excited every time he is able to provide dramatic, elegant LED lighting to homeowners on a budget. He is able to recommend lighting projects in phases, meaning he can install the $595 path light or moonlight package or the $795 flood light package now, and add lights later as the homeowner’s budget permits. Creating the overall design plan tailored to fit each customer’s budget, desired look/result and time-line is the way Metroplex Landscape Lighting does business. Always has, always will!